A client that begins using cloud services will have a need for security oversight and management to ensure that everything is working correctly. You have the responsibility of monitoring the use of the cloud. You should look for any unusual activity that may be a sign of an outside intruder trying to gain unauthorized access. The security of the cloud is your sole responsibility, so it is critical that you provide continual monitoring of these services. 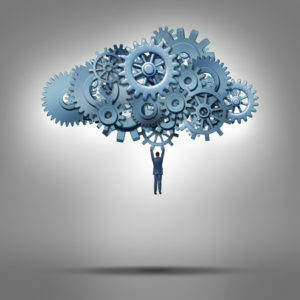 Failure to adequately monitor the cloud can result in mass data loss, which can cripple the reputation of your company. Your MSP services should adopt cloud technology to meet the specific needs of your clients. For example, you can create additional services in the cloud that can enable a healthcare company to keep track of patient’s records and still maintain HIPAA compliance. Individualizing your services for various groups will give you a competitive edge over other IT providers that fail to fully utilize the flexibility of cloud services. Another critical factor to keep in mind is that the use of cloud technology will force you to focus on a wide variety of projects, depending on the client. One client may need large amounts of storage space while another will have an extensive database of users accessing the cloud at all times. As you can see, it is essential to ensure that everything is working correctly, or you can easily become overwhelmed in only a short amount of time. Having enough employees to handle these general issues is a critical component of becoming a successful IT provider in today’s demanding work environment. Finally, enabling customers to transition to the cloud technology should help reduce the amount of help desk tickets. Instead of troubleshooting multiple complex issues on a daily basis, the simplicity of the cloud will make it easier for each customer. This will allow you to solve problems quicker with less hassle. Over time, the reduction in help desk tickets will enable your employees to focus on other areas of need, which will lead to increased productivity. Ultimately, this is an excellent situation for you and your client as the ease of use of the cloud makes the lives easier for everyone. You will have a significant advantage over your competitors if your MSP services adapt the cloud technology. Providing cloud services will ease the burden of your clients and save substantial amounts of time and resources. Focusing on delivering the best customer service available will ensure that everything is working correctly and will boost relations with each client. More businesses will continue to transition to the cloud. It is imperative to learn how to evolve to these ongoing changes while still making safety and productivity the top priority.